My computer and I had a little trouble getting this post up on the blog yesterday, but better late than never! 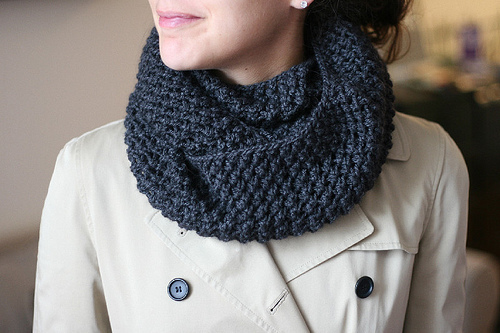 Today I bring you the 5th Avenue Cowl. It’s a great circular cowl in a worsted weight yarn. Quick, pretty and fashionable, the perfect last minute gift! If you are gifting the yarn to a knitter I suggest a treat of some Blue Sky Alpacas Worsted Hand Dyes, Kynna says Aslan Trends Royal Alpacas is also an excellent choice! This entry was posted on Friday, December 16th, 2011 at 11:57 pm	and is filed under Uncategorized. You can follow any responses to this entry through the RSS 2.0 feed. Both comments and pings are currently closed.